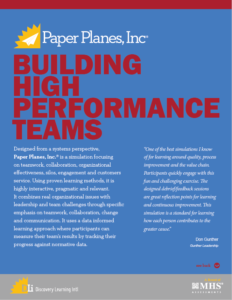 Paper Planes, Inc. is a licensed business simulation. It is designed to focus on teamwork, collaboration, organizational effectiveness, breaking down silos, engagement, and customer service. 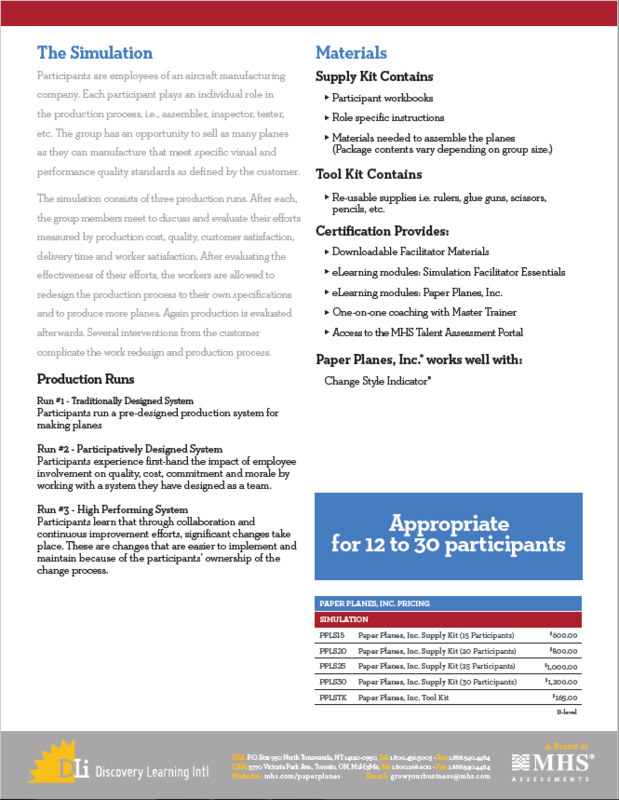 This award-winning simulation allows participants to learn the value of redesigning how they work, internalize those insights and bring them back to their jobs while also providing insights on how an organization or team can prepare for changes within their organizations. During the simulation, participants play the roles of employees in an aircraft manufacturing company — assembler, inspector, tester and so forth. Teams strive to sell as many planes as they can make that meet specific visual and performance quality standards defined by the customer. They will also have the opportunity to redesign and improve the process. 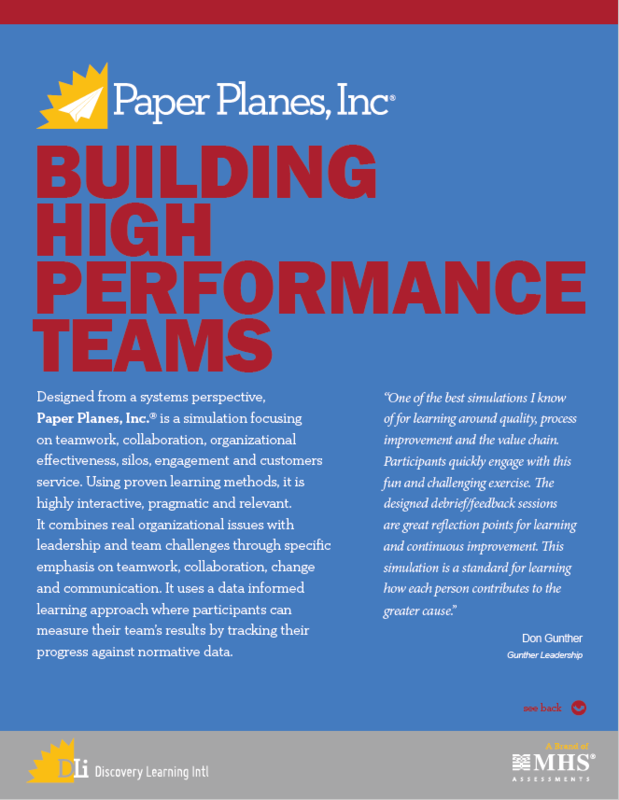 The Paper Planes Inc. simulation can be combined with the below topics to maximize learning. The team gets themselves familiar with the quality standards and production line, getting themselves ready for the simulation challenge. Push their limit to produce and deliver the most paper planes to the customers. Their performance will be measured by four KPIs – Quantity Sold, Quality, Cost Control and Time to Market. Facilitators will guide the participants to review the simulation through a specific set of debriefing questions, exploring key learning and insights from the experience. In this phase, the team will discuss their potential areas for improvements. They are free to suggest improvement plan for team success. 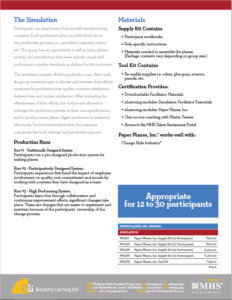 Contact our consultant to learn more about the business simulation.